Home » Congratulations to the 2017 Aspiring Nurse Scholarship recipient! Congratulations to the 2017 Aspiring Nurse Scholarship recipient! Nursing Schools Almanac is excited to announce that Jillian Roberts is the third annual recipient of the $1,000 Aspiring Nurse Scholarship. 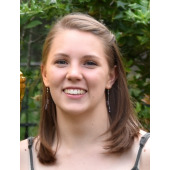 Jillian recently graduated from Washington-Lee High School in Arlington, Virginia. She is currently pursuing a bachelor of science in nursing (BSN) degree at the University of Virginia, where she is a member of the Class of 2021. The scholarship committee selected Jillian from a field of over 4,000 applicants. We were very impressed with her track record of academic excellence, including a 3.9 high school GPA and AP-level coursework in physics and calculus. We also enjoyed her well-written essay that illustrated a personal passion for the nursing profession. You can find her winning essay reproduced below. We'd like to congratulate Jillian on her accomplishments, and we wish her well in her future endeavors! I have spent a great deal of time grappling with the question, "What do you want to be when you grow up? " I often left it unanswered. After admitting to myself that Disney Princess was not a viable career path, I pondered professions that might suit me. I realized that any field I chose needed to fulfill my intellectual curiosities as well as my drive to connect with and help others. When I was nine years old, I was diagnosed with type 1 diabetes. The nurses who cared for me in the hospital provided a unique kind of comfort and support amidst overwhelming fear. Their explanations were comprehensible and compassionate. In the years that followed, I regularly saw a nurse practitioner who helped me to manage my condition and understand that I could live a healthy, normal life. She was someone I appreciated and admired. These interactions sparked a desire to do for others what nurses had done for me. In preschool, I distinctly remember learning that a person's small intestine is 22 feet long. I enthusiastically repeated this fact for days. In elementary school, a friend and I would watch TV shows documenting medical cases and the work of healthcare professionals. Seeing details of the structure, function, dysfunctions, and treatment of the human body fascinated us. She and I played hospital in the same way that other kids played house. In middle school, my favorite class was life science and I would often read unassigned sections of my textbook for fun. Later, I found a summer program at a hospital that gave students a glimpse into various medical professions. I spent several weeks learning from doctors, nurses, surgeons, and technicians. I typed my own blood, examined a human brain, practiced operating room prep procedures, and was fascinated by every moment. The experience confirmed that my long-known interests converge in the health sciences. As someone who knows the experience of being a patient, I am driven to give back to the community of healthcare providers and improve the experiences of others. An education in nursing will provide me with opportunities to do this in a hands-on manner and by collaborating with other professionals to advance the field of medicine. There is no single destination I expect my education to take me. Instead, I see a nursing degree as a portal to opportunities that will suit my interests and allow me to serve every community that I encounter.